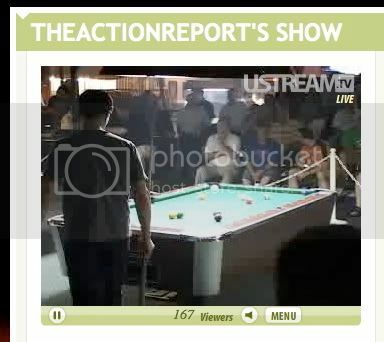 This past weekend was witness to yet another Ustream.TV first- a LIVE Pool Tournament. 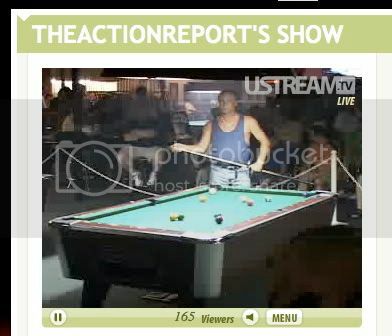 The folks at Shooters in Olathe, KS streamed a 10-ball ring game tournament for the world to watch last Friday, Saturday and Sunday. 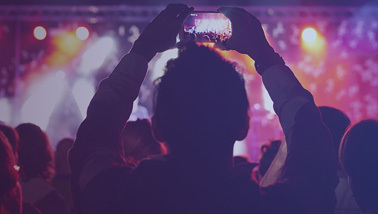 Over the course of the entire weekend, nearly 20,000 people caught some portion of this event. 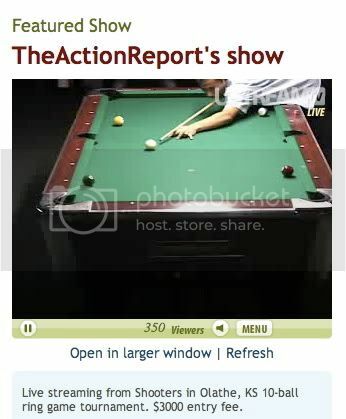 The entry fee for the tournament was $3,000 and we have not yet heard, but are eagerly awaiting, the winner’s name and purse! 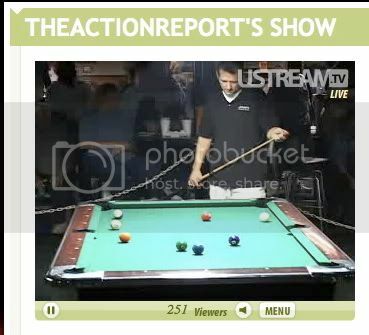 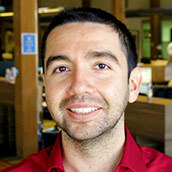 “Once again we see the excitement and power of interactive live video from Ustream.TV. 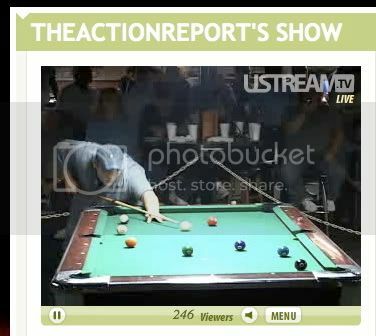 We see a future one day when there are hundreds of pool tournaments live online every weekend,” says John Ham, Founder of Ustream.TV.